Generating quality leads is a critical task for any SaaS startup. Here at Accelity, we favor SaaS inbound marketing, which essentially focuses on creating beneficial content, attracting leads interested in that content and then nurturing throughout the sales cycle. One of the major benefits is that potential clients can “raise their hand” when they’re interested in a topic, so you are interacting with “warm” leads rather than cold ones. In this blog, I’ll share five SaaS lead generation strategies that you may not be using, but should consider adding to your repertoire. 1. Seek out guest blogging opportunities. Guest blogging is generally a win-win scenario. You get to reach a new audience, and the publication gets free content that you provide. Make sure to optimize the effort spent here, though. Include an author bio that mentions your company, and links to your website. Your goal is to get people interested, and then visit your website to learn more. 2. Engage in Facebook and LinkedIn groups. Facebook and LinkedIn groups provide great opportunities to reach prospective clients. There are groups on any topic imaginable, so choose ones that fit your niche best. Specifically, choose groups where your target customer hangs out. 3. Reuse and repurpose content. 4. Demonstrate your expertise with Quora. Websites like Quora are an excellent place to support SaaS lead generation. People who spend time on Quora are either looking for answers or want to learn more about a particular topic. Create an account on Quora and work to establish yourself as an expert. Use a detailed profile of your credentials, and seek to answer questions that fit your niche and benefit your target audience. For instance, after you write a blog, search Quora for questions that relate to that topic, then answer the question and link back to your blog post. This is a great way to boost your online profile, build relationships and attract people interested in your offering. So much of SaaS lead generation is focused on online activities, but you shouldn’t neglect offline strategies. Spend time at networking events, volunteer to speak at a conference or event, attend industry functions, etc. Choose locations where your target customer is likely to spend time, and then get networking. If you are an event speaker, or have a booth at a conference, consider bringing copies of your best content piece, to hand out along with business cards. Need help with B2B SaaS lead generation? Check out our ebook, or request a free consultation. 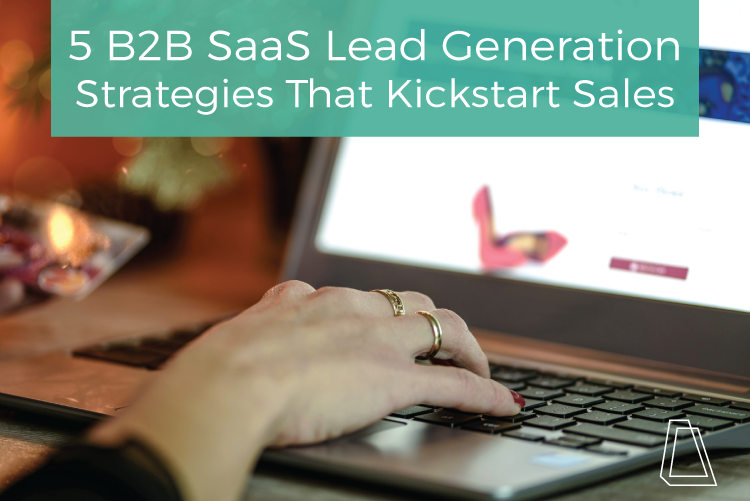 Want additional B2B SaaS lead generation tips? Watch the video below!